Tap and Go payments are on the rise because it is such a quick and convenient way to pay. 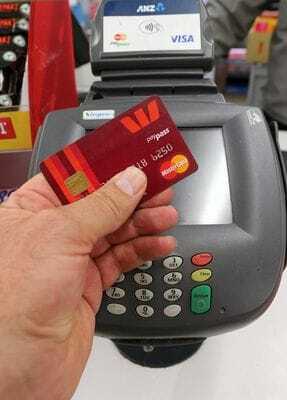 But while this conveneince has always come at a cost for retailers with PayWave surcharges, new research has shown that shoppers who make cashless transactions are more likely to lose track of their spending which over tiime could lead to serious budget blowouts. Researchers from Germany's University of Cologne and the Alpen-Adria-Universitat Klagenfurt in Austria have found shoppers who paid for items with tap and go cards were less likely to remember exactly how much they spent. The growing popularity of paying with cards instead of cash inspired the researchers to investigate what impact this was having on shoppers and their budgets. Scientists collected data from 496 students at a university cafeteria in Germany, and the news is bad for PayWave devotees. The researchers found "individuals who pay by card have a less accurate recall of the amount paid than individuals who settle their bill with cash". Physically handling the money made it easier for them to remember how much they had paid and how much money they still had. Losing track of precisely how much money you've spent will be problematic for both shoppers and retailers in the future because "a precise recollection of past spending has an effect on the willingness to spend money in the future". The report found that customers needed increased transparency with their spending habits in order to ensure more financially healthy behaviour. While you don't need to stash your cash under your mattress just to keep your budget on track, this research does serve as a timely reminder about the importance of phyiscal money in our society.